Re-posted from my June, 2014 newsletter. To sign up for future newsletters, click here. How to preserve all that goodness for the coming year? Fruit leather! A handy snack that’s easy and light to pack for camping trips all summer. I like to make it with local honey because it helps control pollen allergies. You’ll need a food dehydrator (or an oven that can be set to 140˚F or lower – higher temperatures will cause the outside of the leather to harden without drying the inside, creating the potential for spoilage and food poisoning.) If you are interested in building your own dehydrator, check out this website. 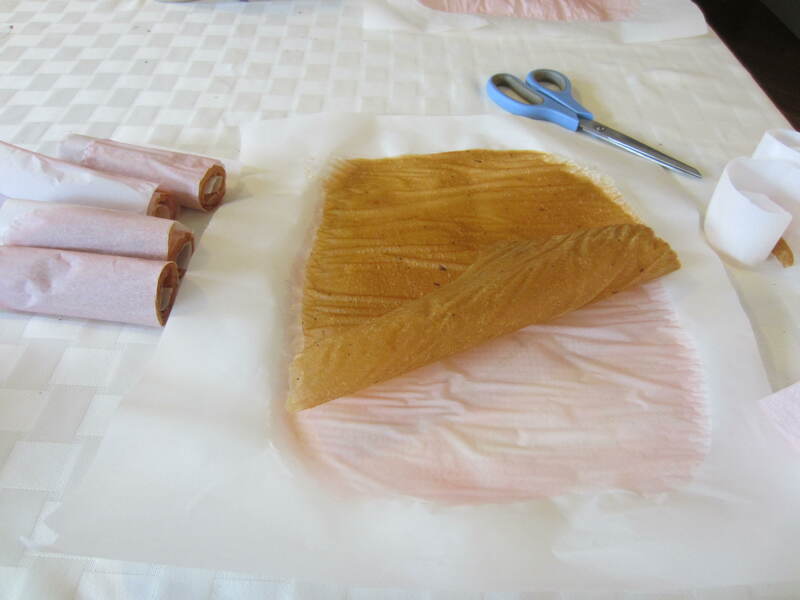 If your food dehydrator didn’t come with fruit leather sheets, you can put parchment paper over the drying racks. I like this option because there is less clean up and the parchment doubles during storage to keep the sheets from sticking. 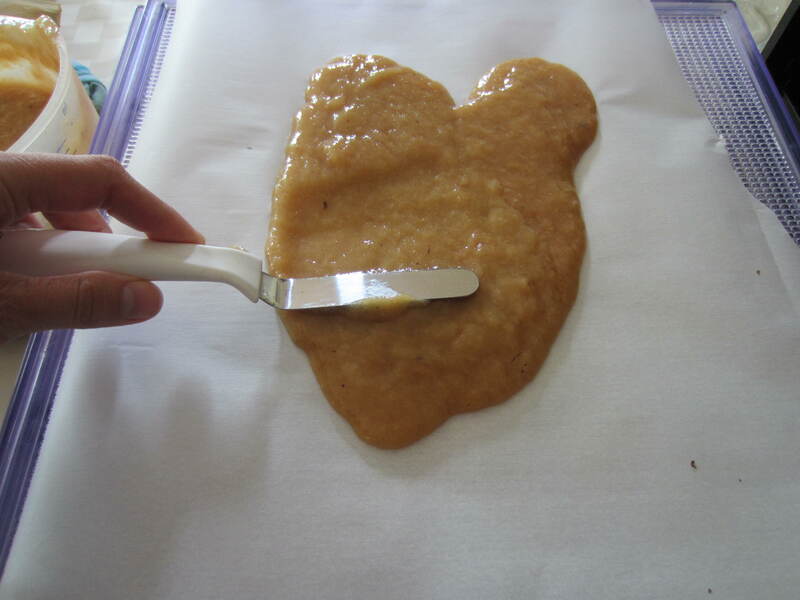 Combine the puree with 4 tablespoons of honey (or to taste) and spread it on the parchment paper about 1/4 inch thick. This may seem heavy, but go with me – the leather will really flatten out once you dry it. Place the racks in the dehydrator. My dehydrator has an adjustable thermostat, but many less expensive models come pre-set at 130˚ to 140˚ F, which is perfect for fruit leather. Drying can take 6 to 24 hours. When you can pull the leather off the parchment paper without it sticking and it holds its shape, its dry. To store, I simply roll them back into the parchment they came off of and cut to size, then seal in a gallon zipper-bag. You can also wrap each piece in plastic wrap to keep them from sticking together. They’ll keep in a cool, dry place for months, or if you think you may keep them longer, put it in the fridge or freezer. 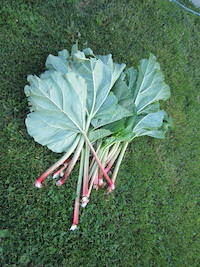 If pure rhubarb fruit leather isn’t to your taste, try combining the puree with equal amount of pureed berry pulp. Just remember to cut back the honey a bit if you do this, or the leather will be too sweet. Enjoy!